Standing in almost two acres of grounds this fabulous six bedroom, four reception family home offers a wealth of accommodation arranged over two floors with a self-contained staff flat on the second floor. The property offers an all-weather floodlit tennis court, outdoor heated swimming pool and Moorish pavilion. The property is flanked by an array of mature rhododendrons, interspersed with specimen trees and a garden that is mainly laid to lawn. Other features include oak panelled walls, Teppanyaki Room with bar, billiard room and triple garage and backing onto the exclusive Coombe Hill Golf course. 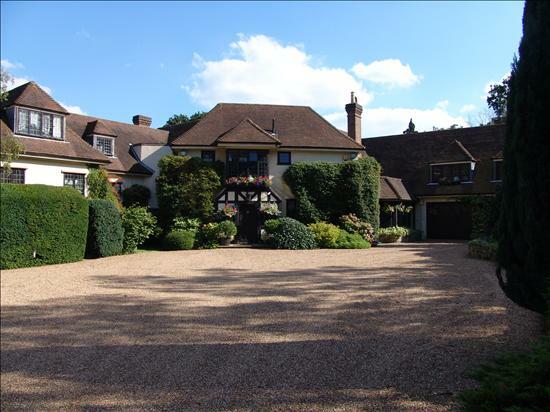 A truly special home rare to find in Coombe.